27 May 2014 | Analysis by the National Tertiary Education Union of the impact increased university fees predicts that degrees such as engineering, law and dentistry could cost over $100,000, and medicine could rise to as much as $180,000. On average, the cost of degrees will more than double. Higher fees when combined with the new market-determined interest rate, will take more than twice as long to pay back for some degrees. For graduates that take time out from the workforce to care for family members, HELP debts might not be paid off until they reach their late 50s.....[ MORE ]…. 26 May 2014 | Education minister Christopher Pyne has challenged universities not to increase fees for current school leavers, saying it is their call whether to include them in a deregulated fee system from 2016. Pyne says he is willing to negotiate on his higher education reforms, including the HECS-HELP student interest rates and the salary threshold when debt repayments kick in. However, he put the onus on universities to end the confusion over students enrolling over the next 18 months....[ MORE ]…. 26 May 2014 | A budget line item to halve Tertiary Education Quality and Standards Agency (TEQSA) funding has been described as “counter¬intuitive” by Hilary Winchester, deputy vice-chancellor at CQ University and a former higher education auditor. While the cuts are meant to reflect a reduction in red tape, the review of regulation by Lee Kwong Dow and Valerie Braithwaite did not take into account the opening up of the sector to private operators as proposed by the government....[ MORE ]…. 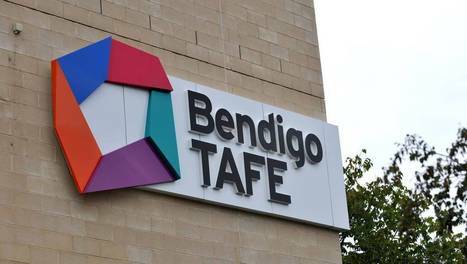 26 May 2014 | Bendigo TAFE will receive $64 million from the state government to support its merger with Melbourne-based Kangan Institute. 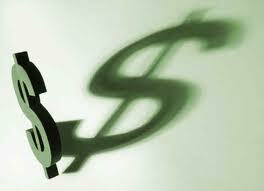 The government expects a further $35 million to be invested by the private sector and the merged institute. A National Centre of Excellence for Health and Human Services will be created at the McCrae St campus. The centre will be created in partnership with La Trobe University to make the most of employment opportunities at the new hospital....[ MORE ]…. 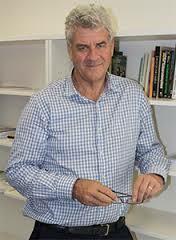 TAFE Queensland has announced the appointment of six general managers for its key TAFE institutes....[ MORE ]…. 24 May 2014 | The Commonwealth government has conceded it will need to compromise on some of its more controversial budget measures to get them through a hostile Senate. Education minister Christopher Pyne has told told Fairfax Media that he accepts his plan to deregulate universities is unlikely to pass in full. He said he is “realistic enough” to see that the proposal will require amendments.…..[ MORE ]…. 22 May 2013 | With Prime Minister Tony Abbott acknowledging that he can’t guarantee that university fees might not double, University Australia chair Sandra Harding says that there are “grave risks” in a precipitate move to fee deregulation, set to take place in 2016. As the new fee regime will apply to all enrolments after 14 May 2014, students enrolling after that date will not know the fees that will apply from 1 January 2016 until such time as universities announce their fees. …..[ MORE ]…. An internal discussion paper distributed at a recent Universities Australia meeting in Adelaide canvassed a range of contentious issues including setting minimum entry limits on certain degrees and some degree of fee deregulation, issues on which there is not unity of opinion within the sector…..But Swinburne University of Technology v-c Linda Kristjansonhas sounded the warning: careful what you wish for. Has Australia the imagination and will to create and maintain international pre-eminence in higher education? Key issues must be tackled across the next few years if an excellent higher education system is to be designed and built. The series commences Wednesday 28 May. The National Commission of Audit’s recommendations for vocational education and training – proposing that responsibility for VET revert to the states – represent a missed opportunity for overdue reform says Peter Noonan, professor of tertiary education policy at Victoria University. He says the commonwealth’s interests in VET are stronger than ever before, not weaker, and the commission’s recommendations for VET should be set aside . 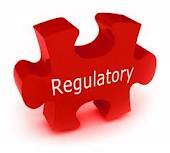 For all it has achieved, the VET system now needs genuine ¬renewal. The current federal-state shared funding model has run its course. Governance arrangements are complex and opaque. 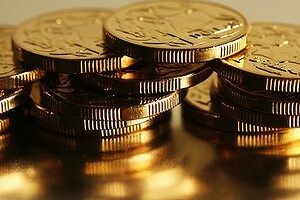 There is duplication in programs and ¬administration. Longstanding debates about quality remain unresolved. 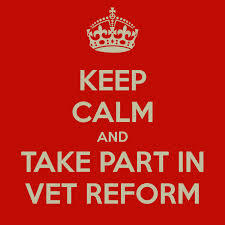 VET qualification completion rates are too low. The commission identifies some of these weaknesses but misses the opportunity to propose sensible reform options to address them. Instead, in poorly evidenced logic, it recommends that the commonwealth wind back its -involvement in the sector by transferring VET policy and funding responsibility to the states, and abolishing all commonwealth VET programs. And, strangely enough, despite the recommendation for the commonwealth to vacate the field, the commission also reckons the states should still be required to continue specific reforms set by the commonwealth. It all points to a limited and partial analysis and understanding of VET and the commonwealth’s role in it. Its assertion that under the Constitution the commonwealth has no responsibility for VET is inaccurate, and taken to its logical conclusion would require that higher education also be handed back to the states. 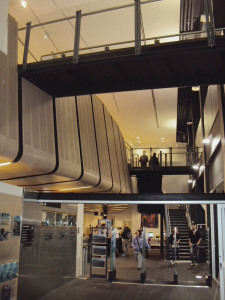 City Library, in the New York sector of Flinders Lane near The Scan GHQ , has become a firmly established institution for Melbourne city workers, students and residents. It turns 10 this month. With a cafe (Journal) at the entrance, in the main areas it’s all buzz and go. Up on the mezzanine, there’s a piano and oft times someone playing (there is a sign that you do need to be competent!). If you’re really lucky, you’ll get a recital from a little old lady, whose playing sounds not dissimilar to Keith Jarrett (she is quite truly remarkable). There’s usually some kind of art exhibition hanging in the mezzanine and regular late afternoon performances (music & poetry). You can speak at normal levels without a librarian shushing you. But if you’re there to work, there are a variety of spaces where the normal library quiet prevails. And of course there are books, newspapers magazines, CDs and videos available to browse, listen to, view and borrow and banks of public access computers. ‘No Frills’ is a well-known annual national conference, hosted by the National Centre for Vocational Education Research, where researchers and practitioners in the vocational education and training (VET) sector come together to present, discuss and share information about key issues confronting the sector. The conference also provides professional development opportunities for new and existing researchers.